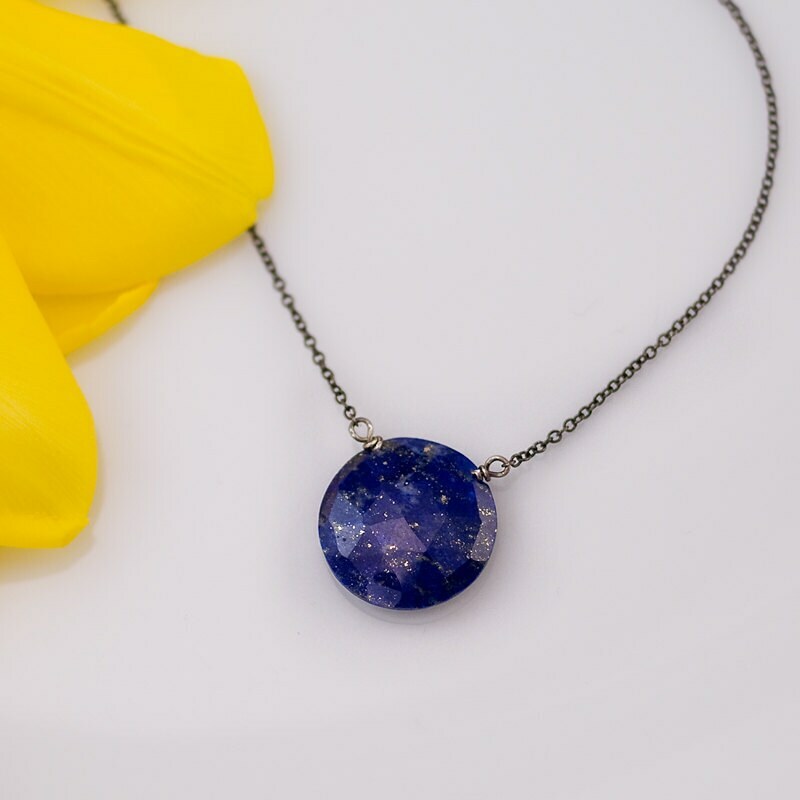 This is a beautiful round natural Lapis Lazuli stone with oxidized sterling silver necklace, perfect for a September birthday gift! Because I use natural stones, the stones may vary slightly in shape, size, and color. I almost cried when I opened the box. Someone, #1 in my life is sick and his favorite EVERYTHING is purple.ive been filling my world it’s purple. 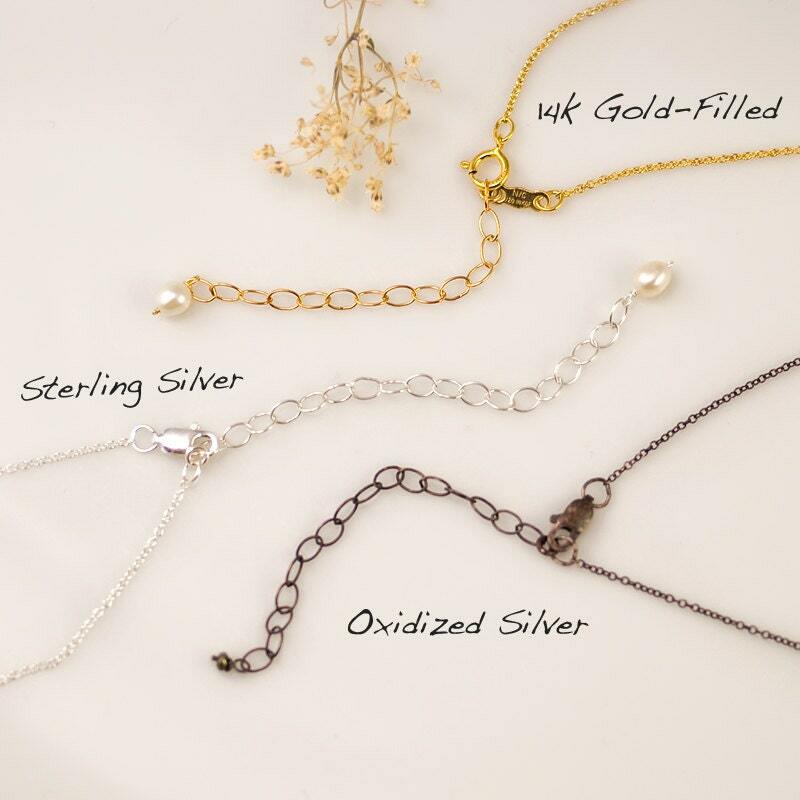 The seller did a PERFECT job on the necklace, from the chain to the single dark amethyst. I woundnt change not one about the necklace. Thank you sincerely for giving me another memory to hold on to. Exactly what I wanted! 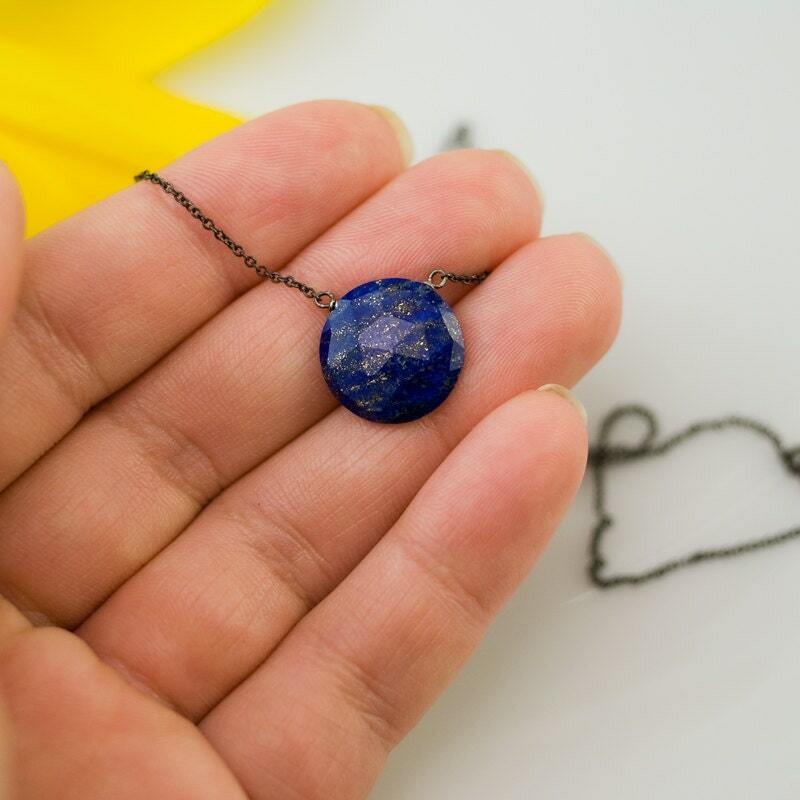 A beautiful Lapis pendant on a silver chain. More often than not one sees Lapis with gold (I see how it picks up the flecks of gold in the Lapis I just prefer silver). So, I was delighted to find this. I bought earrings and a ring, all with different shapes so nothing is too matchy. I love this! Also, it's very nicely packaged in a box with some tissue paper.